John Albang, 93, died Wednesday, November 21, 2018, at his home surrounded by his loved ones. A mass of Christian burial and a celebration of life will be held in the spring. 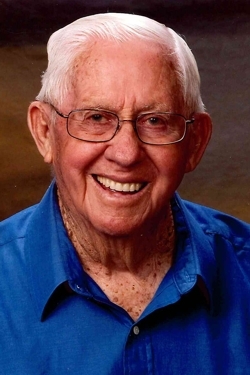 Goettsch Funeral Home, Anamosa, has taken John and his family into their care. Surviving is his wife, Wilma; three daughters, Rosann (Randy) Caspers, Anamosa, Wilene (Pat) Drummy, Marion, and Sharon (Charlie) Byers, Anamosa; five grandchildren; one great-grandchild; and several nieces and nephews. He was preceded in death by his parents, three sisters and one brother. John was a fun-loving person who enjoyed the friendship of many people. There are so many people to thank, especially the people who helped us give dad the continued quality of life at home. To Kelli, Bonnie, Fr. Nick, Allison, and all the staff at palliative care and the men and women of Unity Point Hospice. Their support and services to us and dad will never be forgotten.